The idea of using the 250-year-old Fort George garrison, near Inverness, was put forward in a secret study which can be made public by The Press and Journal for the first time today. The HES analysis considered potential future uses for the 355,200sq ft base when the Army departs – and top of the list was a “Regional / National HQ” for the Scottish Government body. HES also said it could use the site for a training centre, archive space, collections storage and exhibition space. Other ambitious ideas put forward for Fort George included a hotel, conference facilities, shops and restaurants, housing, a watersports centre, a brewery, a marine energy scheme, and a port for sea links to Invergordon, Nigg and Inverness. Civic and business leaders in the Highlands have long called for the re-launch of a decentralisation drive which, in 2006, led to Scottish Natural Heritage (SNH) relocating its HQ and 240 jobs from Edinburgh to Great Glen House in Inverness. Last night, Inverness Chamber of Commerce chief executive Stewart Nicol said: “I think it’s really positive that all of these ideas are being considered. “In principle, the relocation of a government body to somewhere in the Highlands such as Fort George is worthy of serious consideration. HES, which employs about 1,200 full-time equivalent staff across Scotland, currently has two HQs in Edinburgh after it was formed from the merger in 2015 of Historic Scotland and Royal Commission on the Ancient and Historical Monuments of Scotland. 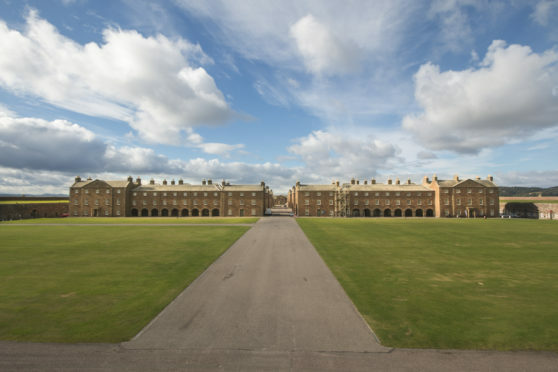 Defence chiefs announced in November 2016 that Fort George’s role as an active Army garrison would end in 2032, but the P&J revealed yesterday that fears were growing that it could be even earlier. In the same month that Fort George’s closure was confirmed, HES produced a SWOT (strengths, weaknesses, opportunities, and threats) analysis on the site, which has now been released under freedom of information laws. The report stated: “The consensus is that there is huge potential for growth, particularly over the summer months when other nearby attractions and accommodation are frequently full or over capacity. It added: “The balance that needs to be struck is making an approach commercially viable whilst ensuring it is cohesive and appropriate to the significance of the site. Last night, a spokeswoman for HES would only say that there was “no further update on any future plans at this stage”. Fraser Grieve, regional director of the Scottish Council for Development and Industry, said: “It’s really good that they are planning to make the best use of Fort George. On the potential of Fort George becoming an HES HQ, he added: “It would be a significant development and actually a really interesting one to explore further. HES Uses – Regional / National HQ, Training centre, Archive Space, Collections Storage, Exhibition space. Scottish Retail – Anta, Knockando, Johnston’s of Elgin. Live interpretation – firing cannons, develop interpretation, Seafield Collection. Develop transport links on Moray Firth Invergordon / Nigg / Inverness. Chanonry point – over capacity dolphin watching summer months, also salmon/SSSI. Board of Ordnance drawings and work books from construction of Fort George.